State superintendent Sherri Ybarra is tweaking her school safety plan, based on input from other education groups, an Ybarra aide said Thursday. And Ybarra’s staff will use the work of the state’s Office of School Safety and Security as the linchpin for an $18.5 million grant program. The State Department of Education hosted an hour-long webinar Thursday to walk through Ybarra’s controversial school security plan. And the SDE’s Matt McCarter spent some of the time trying to defuse some of the criticism of the plan. 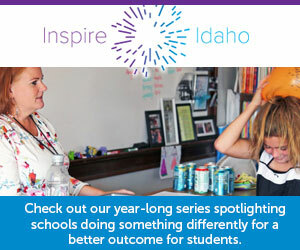 This summer, several education leaders said they weren’t consulted before Ybarra rolled out her Keep Idaho Students Safe initiative six months ago. Brian Armes, the director of the Office of School Safety and Security, said competing plans could lead to chaos during a school crisis. And KISS is now a political issue as well; Ybarra’s Democratic opponent, Cindy Wilson, has blasted Ybarra for creating a plan without talking to safety experts. Ybarra unveiled the KISS plan via a March 12 news release, with no advance notice. McCarter acknowledged that the announcement caught some education leaders off-guard. But he said the idea was to “make a splash” by announcing a proposal, and then getting stakeholders to discuss the details. “The process so far has been quite normal,” McCarter said Thursday evening. On the advice of the Idaho Education Association and the Idaho School Boards Association, Ybarra has fine-tuned her plan for a school safety course for teachers. The course is still part of the KISS plan, but the course will no longer be required for teacher recertification. And McCarter said the state will use the Office of School Safety and Security’s building assessments as the basis for grant awards. The office has completed assessments on about two-thirds of the state’s schools. The $18.5 million grant program is by far the costliest piece of the KISS initiative. The idea is to provide a one-time infusion of dollars to help schools address safety needs, McCarter said. Ybarra decided against seeking ongoing funding, he said, because the state has other competing demands on education dollars, from teacher pay to classroom technology. But if Ybarra is re-elected in November — and if she can convince the Legislature to fund the grant program — the SDE will get the money out to schools this winter. “We are keyed up to roll quickly,” McCarter said. Ybarra wants $410,000 this year to start work on the school safety course, and $1.4 million in the 2019-20 budget. If the funding comes through, classes could begin in September 2019, McCarter said. The KISS plan also includes a school safety tip line, and calls for hiring a statewide crisis communications counselor. The state is seeking grant money that could offset the $200,000-a-year cost of the tip line. The counselor would receive a salary and benefits running $91,300 a year. McCarter fielded some technical questions during the webinar — and was not asked about two recent developments in the KISS story. He did not discuss Ybarra’s decision to hire a school safety consultant, at a cost of up to $20,000, to begin work on KISS. Nor did he address a continuing flap between Ybarra and a fellow Republican, Rep. Wendy Horman of Idaho Falls. Horman has asked Ybarra to remove the Office of School Safety and Security’s logo from her KISS website; Ybarra has refused. McCarter — who directs student engagement and career and technical readiness at the SDE — did the talking during Thursday night’s webinar. Ybarra did not participate.